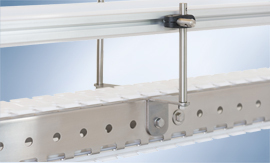 The D-Flex conveying system is a modular design and comprises the system profile, the sliding strips and the D-Flex system chain. 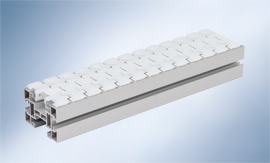 The modular structure means that the chain conveyors can be adapted to your production conditions economically and flexibly at any time. 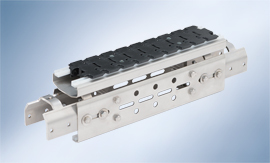 Walther Flender can offer you the conveyor system in three versions: Classic in aluminium, as a standard stainless steel line with oval openings in the profiles for easy cleaning and as a sector-specific special edition for the food, drink-bottling and pharmaceuticals industry with a particularly hygiene-focused design.